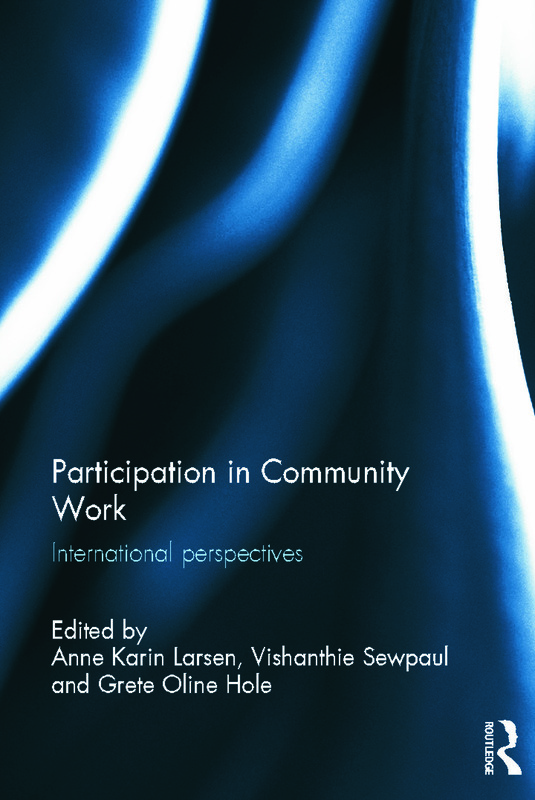 Participation is a key community work method and this text, written by an international selection of authors, covers innovative approaches in community based education and practice. Including real-life case studies of participatory practice, it offers new definitions of community work, organisation and development and will challenge and inspire all those involved in community work practice and research. Divided into four parts, Participation in Community Work begins by exploring theoretical aspects of participation and the co-construction of knowledge, including the ethics of participation. The second part focuses on the potential of participatory learning and action research, with chapters presenting key techniques followed by case studies. The third part looks at power and participation, addressing issues of inclusivity, capacity and democracy-building and giving examples from a range of research and field projects. Finally, the fourth part begins the discussion of new and emerging challenges for community work globally. This unique book is suitable for students, researchers and practitioners interested in participation and community development from a range of disciplines, including community work itself through social work and youth work to health promotion. Anne Karin Larsen is Associate Professor in the Department of Social Work and Social Education, Bergen University College, Norway. Vishanthie Sewpaul is Senior Professor in the School of Applied Human Sciences, University KwaZulu Natal, South Africa. She is currently President of the Association of Schools of Social Work in Africa and a Vice-President on the Board of the International Association of Schools of Social Work. Grete Oline Hole is Associate Professor at the Centre of Evidence Based Practice, Bergen University College, Norway.